Hello and welcome to Ascendant! These are the basic guidelines and rules of the site, so take a second to read through them so you know what to expect and what is expected of you. 1.) Treat everyone with respect and don't be a jerk. This includes people you don't like. 2.) Don't spam. This includes replies that contribute nothing to the topic (such as just xD), or responses that are just so far off topic that it looks like you posted in the wrong thread. 3.) If someone is doing something you don't like, or is breaking the rules, contact a staff member. We tend to trust our members, so we may not even know if someone is doing something you don't like, ICly or OOCly. Even if it's a minor thing, don't be afraid to bring it up to us privately. 4.) Don't post in any IC areas before your character is accepted. Posting in OOC areas before then is fine. 5.) There are two custom profile fields that need to be filled out before your character can be accepted: Character Sheet and Played By. The character sheet is the link to your public character sheet, and Played By is your OOC name. 6.) Follow the Proboards Terms of Service. This means keep everything safe for work, don't promote or do illegal things, and post in English. 1.) There is no word minimum or maximum. Post whatever you think is necessary to say what you want to say. 2.) Posts should have decent spelling and grammar and should not use chat speak. No one expects you to be perfect, your posts just need to be readable. This site is ESL friendly, and we're not huge sticklers, so just do your best. 3.) No godmoding. Your character is not all powerful and should not act that way. 4.) No power playing. Don't control other peoples' characters without their permission. As a note, when this happens in a thread we will often assume that the player got permission. If they don't and you don't like it, be sure to contact a staff member. 5.) No metagaming. You should not use information you know OOCly in character if your character has no way of knowing that information. 6.) Liquid time is allowed. This means your characters can be in more than one thread at once. 7.) For group threads, try to keep a post order in mind. You don't have to stick to it if someone wants to be skipped, but make sure people get a chance to respond before you post again so they don't get left behind. The exceptions to this are incursions and event battles because of the time limit on them. 1.) No Mary Sues. Your character needs to be well-rounded and have flaws. Similarly, we're centered around character interactions and development and expect characters to be more than cool abilities and fights. 2.) There is no character limit, so feel free to play as many as you want. Just try to keep them all active. 3.) Each character should be on their own account, with the character's name as that account's display name. You can use their real name or a nickname, whichever you prefer. 4.) 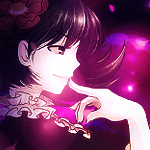 While Ascendant uses historical times and places in its setting, we do not consider ourselves a historical RP. It's okay to take some liberties, and we consider these time periods more as a spring board for character and plot ideas rather than something that has to be stuck with completely. So feel free to make a warrior princess, improbably young college graduate, or whatever else sounds like fun to play. 5.) These other periods aren't a result of time travel, rather they are their own universes that happen to resemble the past of our world. As a result, they don't have to be exactly the same and that world's history can be different. Unless otherwise noted it's safe to assume that historical universes' histories are about the same as ours, but we do allow people to use alternative history for the sake of their character. Any changes to a universe's history will be noted in the Plot thread. If you would like to change the universe's history a bit, it must be noted at the top of the character's history where staff can easily find it. The change must fit into other changes within that universe (IE, Alexander the Great can't be alive if he died young in that universe already), and must be well thought out and the consequences of that change explained so that it's clear how the world shaped because of it. If those things aren't clear the change, and thus the character, will not be accepted. 6.) All characters must be from one of the existing universes. If you would like to make a character from a different universe, you must create that universe first. See the Shop for details. 1.) Face claims are optional. 2.) Any images used should be drawn art, preferably in some kind of anime or comic style. Original art is only allowed if it was drawn by you, or you commissioned it from an artist. 3.) 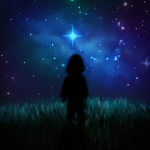 All the graphics in your profile (avatars, signatures, etc) should be of your character, or some form of symbol or abstract art related to your character if you have no FC. 4.) All avatars will be resized to 150x150. If you don't want your image to drop in quality due to the resize, make sure they are 150x150. 5.) Signatures should not be any larger than 500x250. Don't add a massive wall of text in your signature either. 6.) All images must be safe for work, and must follow the Proboards Terms of Service. 7.) Don't steal or hotlink other peoples' images. 1.) 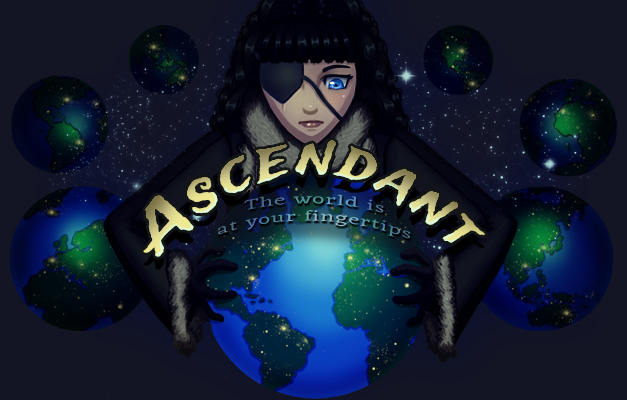 Ascendant's Discord server is here. 2.) While we have several channels for talking about different subjects, anything can be talked about in General. Meaning people can plot and talk about their characters in general, talk about incursions, what's going on in their life, or whatever else. If anything that should go in other channels starts taking over and drowning out other conversations (IE, trying to hammer out a thread, gushing over characters, etc.) only then do they need to go to their specific channels. 3.) The only exception to the above is in character chatter. Please keep that in the In Character Chat area. 4.) All forum rules still apply to the Discord. 5.) If someone's bothering you or making you uncomfortable don't hesitate to contact a staff member. This is doubly true for any direct messages as staff will not be able to see those unless they're shared with them. 1.) All characters must come from a universe that's already in play. These rules detail the expectations for creating a new universe. The details on how to do it can be found in the Shop. 2.) Magic is a recent phenomenon in all universes. There were still occasional mages, but they weren't very common. This means that the universe couldn't have developed around magic. Keep the floating castles to a minimum. There also can't be any alternative forms of magic with different names (IE, chakra, mana, whatever). 3.) The universe can be in the past or the future, and can differ from our universe's history however you like as long as it's well thought out and the results of those changes are explained. 4.) The universe can also be significantly different from ours, with completely unfamiliar countries and cultures. If you go this route, consider giving the universe its own dating system (instead of CE/BCE) to make it clear to other players that they shouldn't make any assumptions based on our own universe's history. Just remember that they still have to abide by the laws of physics and that widespread magic still needs to be a recent phenomenon. Try to keep the lore to a minimum (under 500-1000 words for all of it) as to avoid overwhelming people with information. 5.) People will be allowed to create characters and add minor setting details in your universe, so make sure you leave room for other characters. Also keep in mind, especially if you're creating an original universe, that staff still need to approve characters and they don't have perfect knowledge of your world or your intentions. Expect the world to deviate from what you might have initially expected. This is collaborative writing, so you will not have complete control over it.